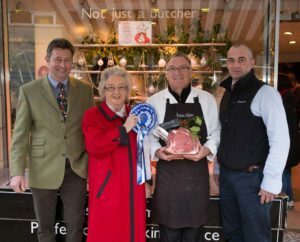 For the second year running, as part of our commitment to supporting local butchers and farm shops, the HG Blake Butchers Christmas Window Dressing Competition took place between the 8 – 10th December, throughout Norfolk. 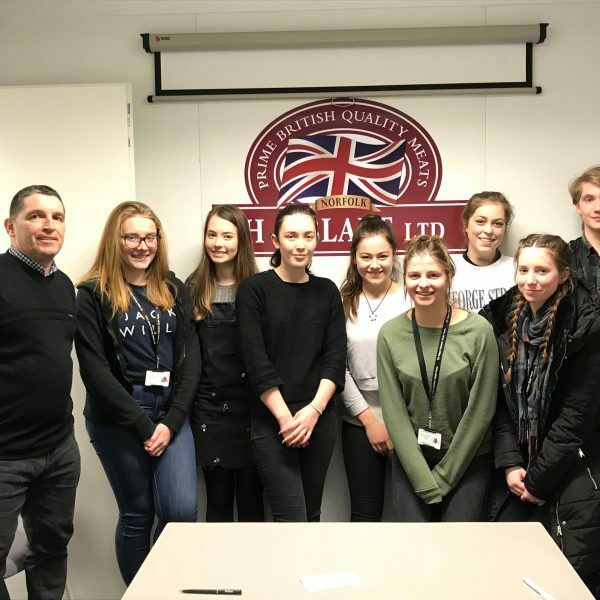 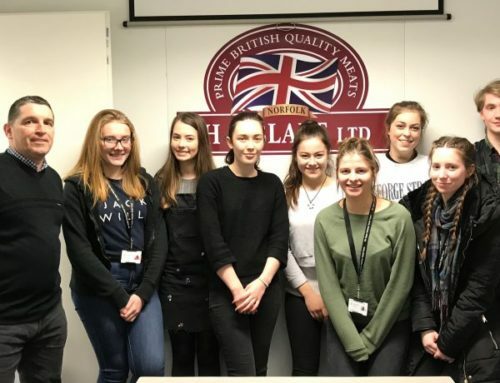 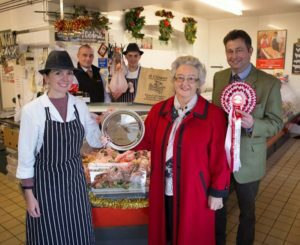 Held in association with Norfolk Food & Drink, it was established in 2015 to encourage shoppers to use their local butcher instead of supermarkets for all their Christmas meat requirements. 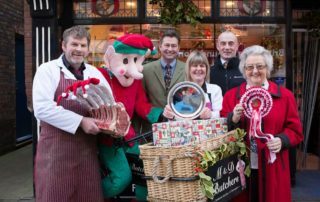 Partaking butchers were invited to create a festive meat display to showcase their products and traditional butchery skills. 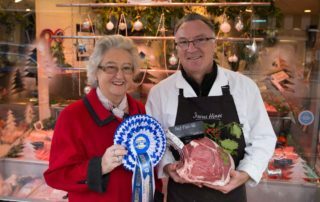 The festive displays were then judged on Monday, 12th, by HG Blake Owner, Mrs Jane Blake and Managing Director, Andrew Clarke. 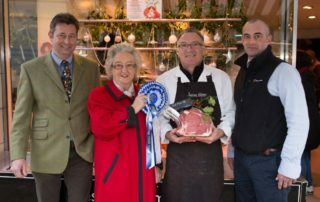 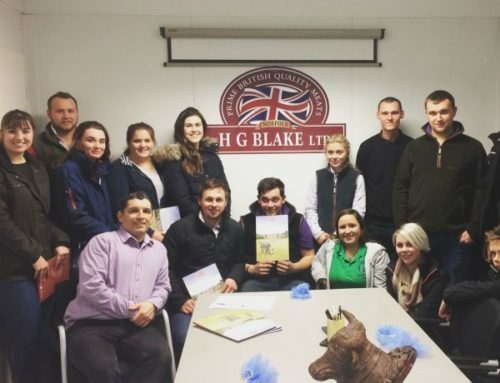 Winning butchers received a rosette and trophy from HG Blake. 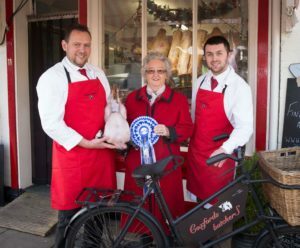 Additionally, members of the general public were invited to take a photograph of their favourite window or counter display to be in with a chance of winning a Christmas Turkey, kindly donated by Morton’s Traditional Taste Turkeys. 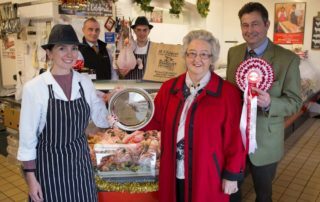 BEST COUNTER DISPLAY was awarded to Sonia Graves of H V Graves Butchers of Briston. 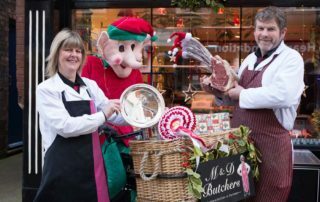 “There was so much to look at in the M & D Butchers’ window display. 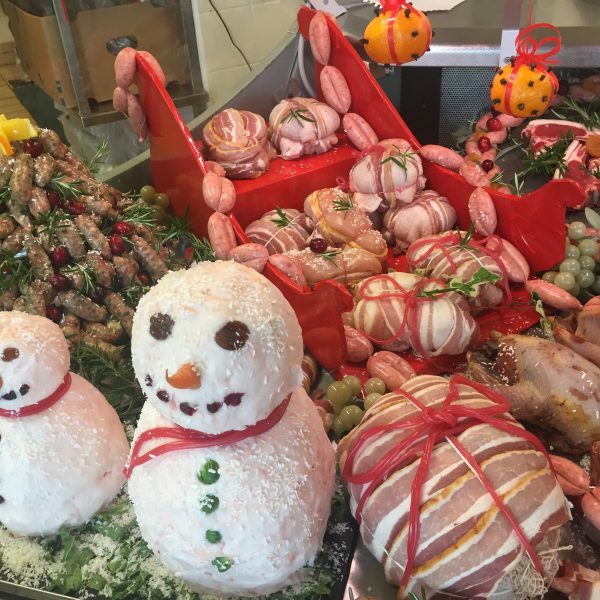 A sausage snowman, a sausage meat boar’s head, elves, crackers, together with all the various meats you could wish to put on your Christmas table. 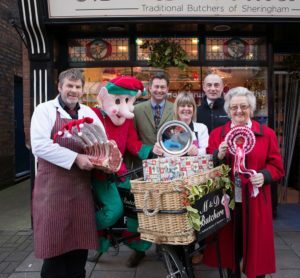 They had even featured the Sheringham train in the background”. 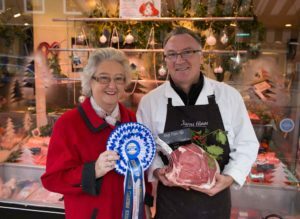 Mrs Blake said: “A great deal of effort went into H V Graves Counter Display, which really created a Christmas scene the competition was looking for, and I was most impressed that Martin Rowe, from M & D Butchers, produced yet another unbeatable window display, winning the category for the second year running. 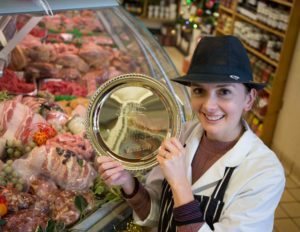 WINNING PHOTOGRAPH was awarded to Ian Collarbone (@marmaladeschef) depicting an atmospheric shot of a lady standing outside M & D Butchers shop smiling. 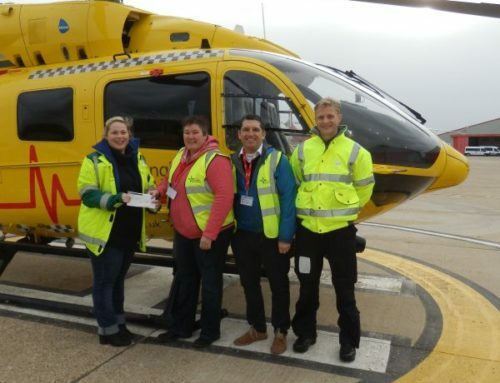 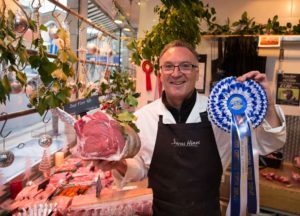 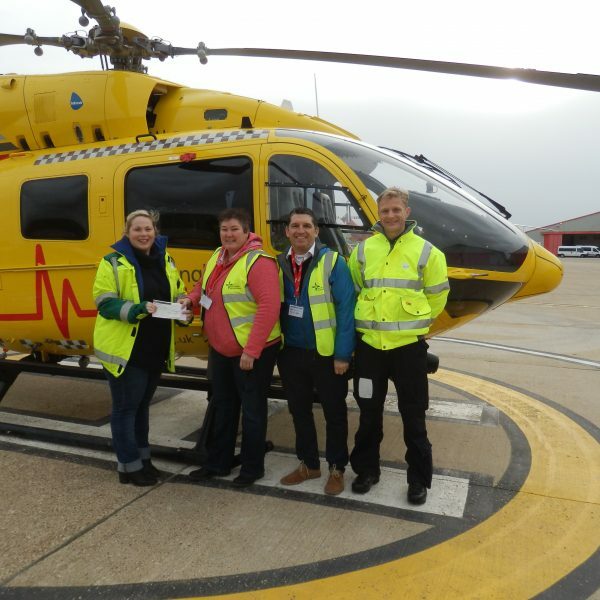 RUNNER UP WINDOW DISPLAY was awarded to Icarus Hines from Cromer. 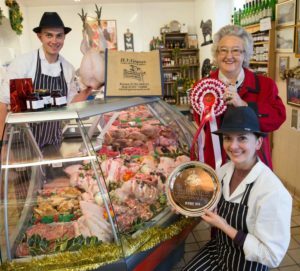 RUNNER UP COUNTER DISPLAY was awarded to Coxfords Butchers from Aylsham. 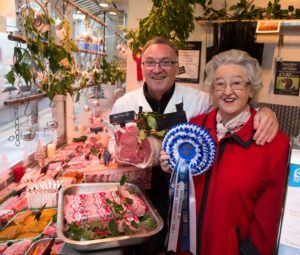 Proving that the displays both delighted the senses and motivated shoppers to buy, Owain Davis, who was in Brison visiting family said: “I was amazed to see the wonderful displays of Christmas Fayre, both in the windows and counters of H.V.Graves. 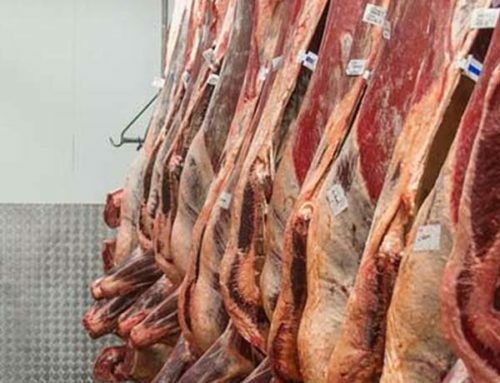 I had heard about the quality of their meat from my family but have to say that the shop counters took me back to old fashioned shops that at this time of year always looked their best. 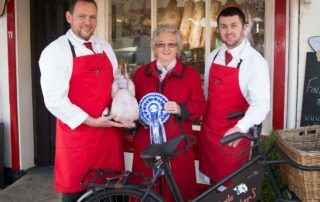 From poultry, gammons, and rather intriguing snowmen, it made me feel very much that I had entered the period of the year with encouragement. 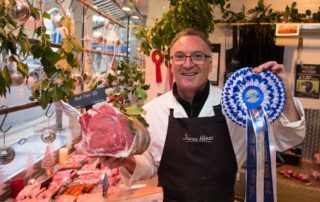 Comparing this wonderful display to others in the area, that were not as inviting and looked quite normal, it had to be a winner for me. 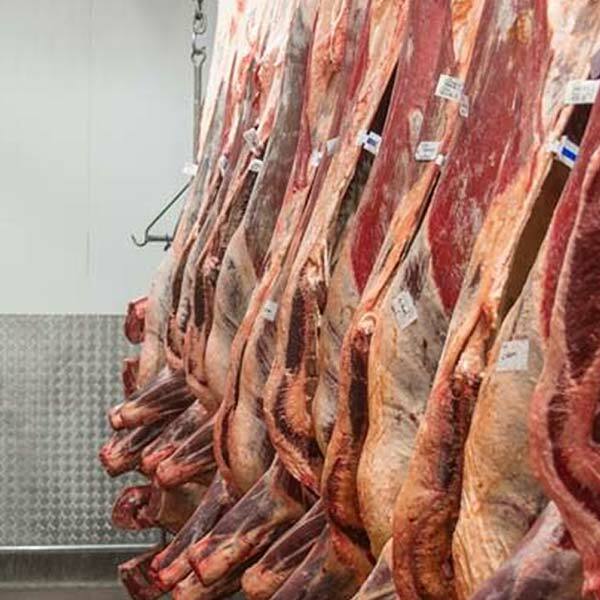 Hence I placed my order for not only meat but bakery items too”. 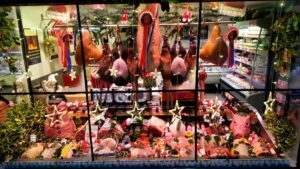 William James felt inspired enough to write in: “I feel that I must write to you regarding the Christmas celebrations and the amazing butcher’s counters in H.V.Graves at Briston. 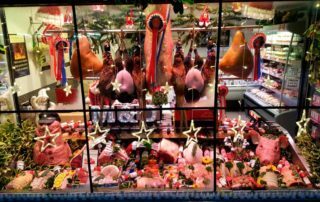 I was passing through the village and my eyes were caught by the decorated window, which gave the picture in my mind of how traditional butchers should look at this season. 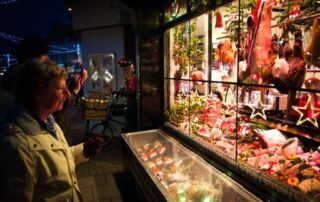 So much so I parked the car and went to see the full picture and invitation to experience Christmas. 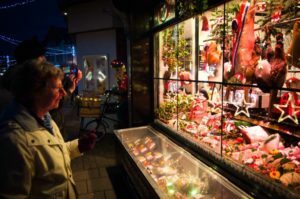 The counter was amazing with a sleigh, snowmen, and every meat item that I could have wished to find. 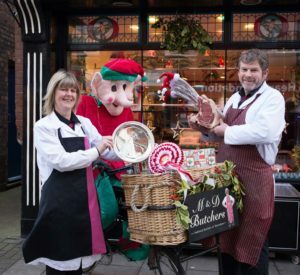 It goes without saying that a purchase was a necessary requirement; so much effort had been put into the displays, and was complemented by the pleasant attitude of the staff. 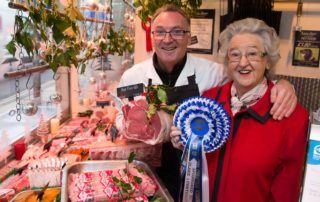 May we take this opportunity to thank all butchers who took part, and to Norfolk Food and Drink for all their efforts in staging the competition and encourage anyone reading this to visit their local butchers to buy their turkeys, stuffing, sausages etc. 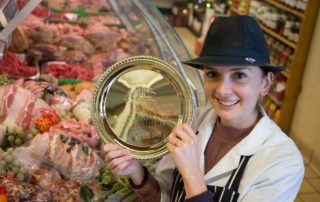 And don’t forget to ask them for tips on how to cook your meat of choice on the big day. 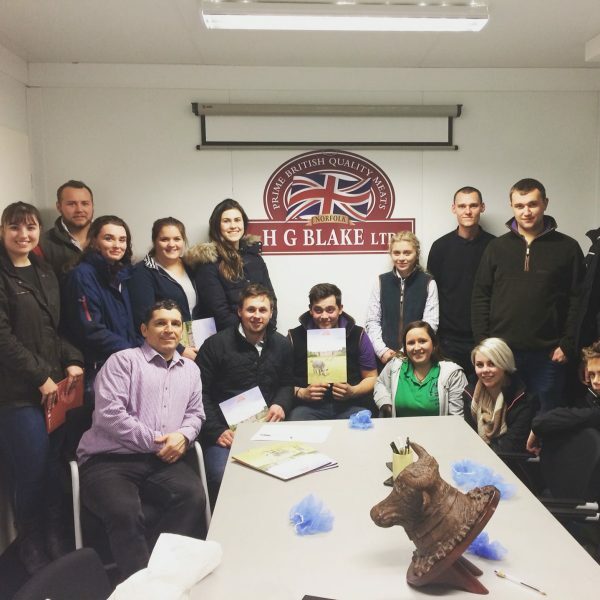 Merry Christmas from all at HG Blake. 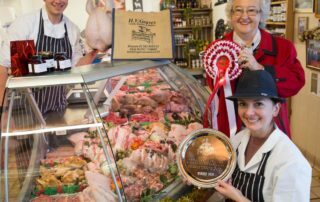 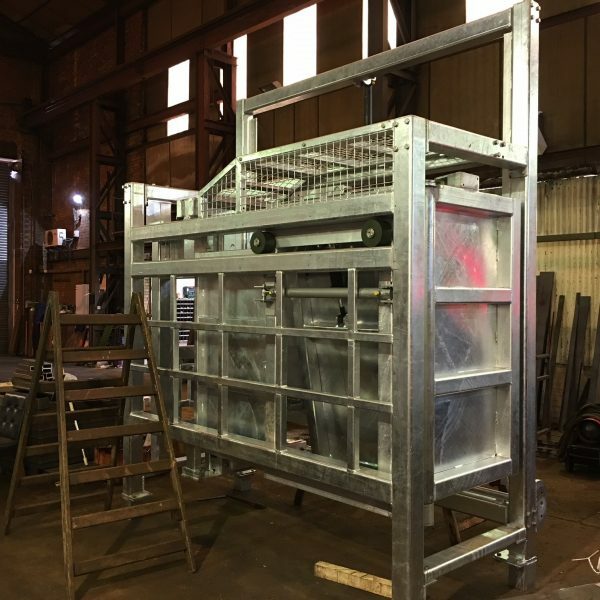 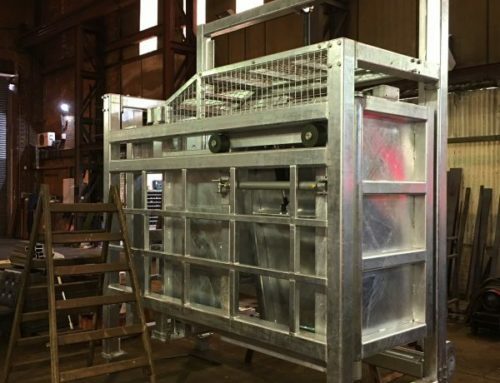 HG Blake Ltd is proud to supply the very finest British beef, lamb and pork to meat wholesalers and butchers throughout Norfolk and nationwide.